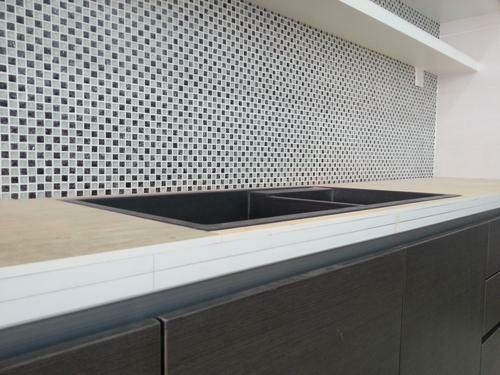 There are mainly two types of sinks used in malaysia Granite or Stainless steel. SO which 1 should we buy? and Why ? yeah, so which is better? planning to get granite as it looks good and also i m bored with my old stainless steel sink design. is 1mm sink sufficient? Saw a sink in expo 3mm, is it really necessary? (05-12-2017, 11:18 PM)Sunny88 Wrote: yeah, so which is better? planning to get granite as it looks good and also i m bored with my old stainless steel sink design. Each sink has their own pros and cons. Stainless steel is durable and easy to maintain, however their are not scratch resistant. Granite is scratch resistant and nice but require extra care and cleaning. I believe you have been using stainless steel for many years, do you have any problem with it? How is the maintenance and is it working upto date without any dents or leaks? I bliv the answer is no problem. So, if u wan a durable and ez to maintain sink, get stainless steel. TO undermount a sink does not really mean to stick the sink under of the table. As long as table top is above the sink is called undermount. First, they will need to install the sink on the cabinet like top mount, then add a piece of plywood to make the table flush (same level) with the sink. THen only add the granite or quart top on it, making it undermount. So it can be done and it will down drop down. (06-12-2017, 06:46 AM)Joemax Wrote: is 1mm sink sufficient? Saw a sink in expo 3mm, is it really necessary? how thick is your current old sink? Old design sinks are about 0.8mm, i believe it is still in good condition right? 1mm and 1.2mm is very good already, i think 3mm is lebih 1 haha. but it is upto your preference and budget, no harm getting thicker. thanks, for the explanation. any good sink to recommend? wow, first time see such big sink, what is the promo?